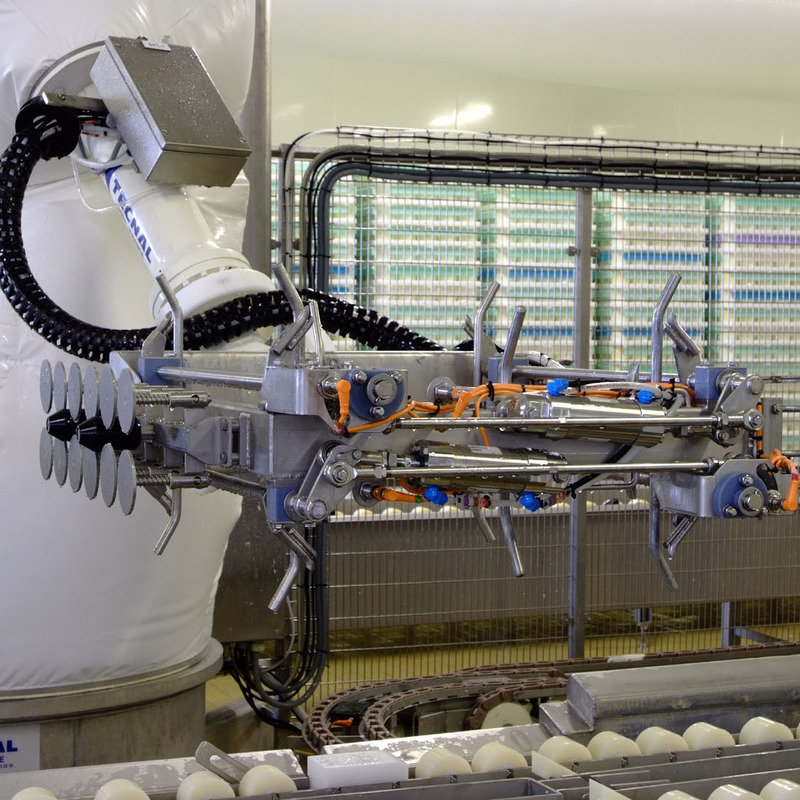 A manipulator equipped with suction cups connected to a vacuum pump and circuit, picks up the cheeses in the block forms and sets them down on one or more waiting racks. 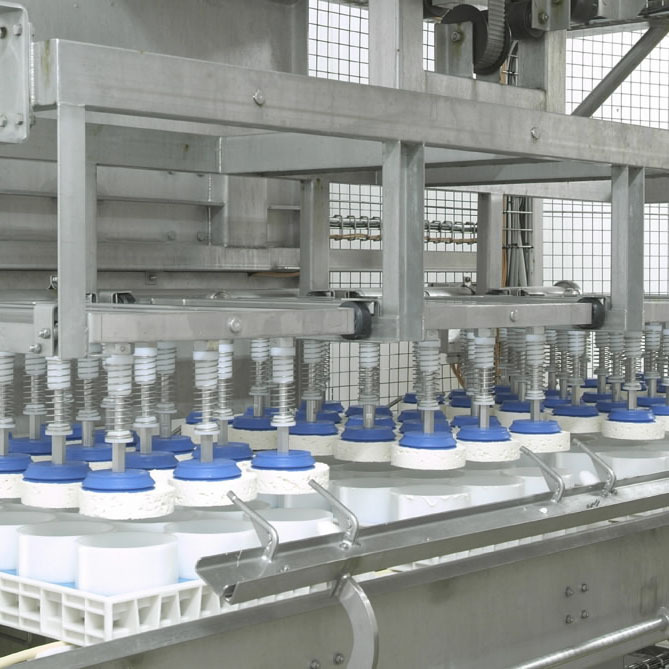 Removal from moulds by 2, 3, or 4 trays is possible, depending on flow rates. Mould removal tools match with the removed format by a system of bins which are easy to change and to wash. Empty vacuum circuit washing. 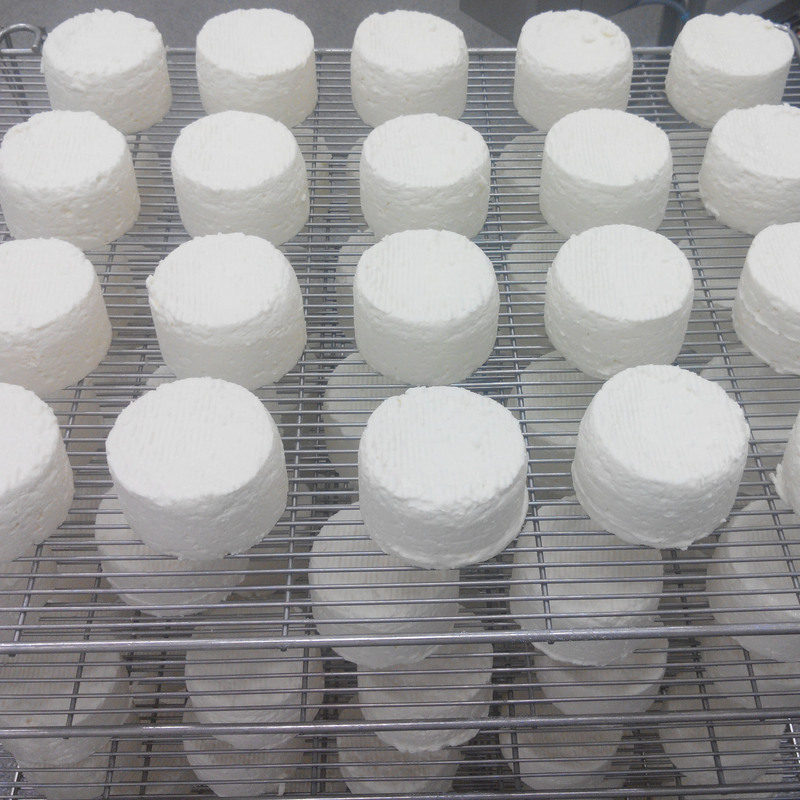 After being draining, cheeses (both small and large diameters) are removed from the moulds and set down on stainless steel ripening racks. 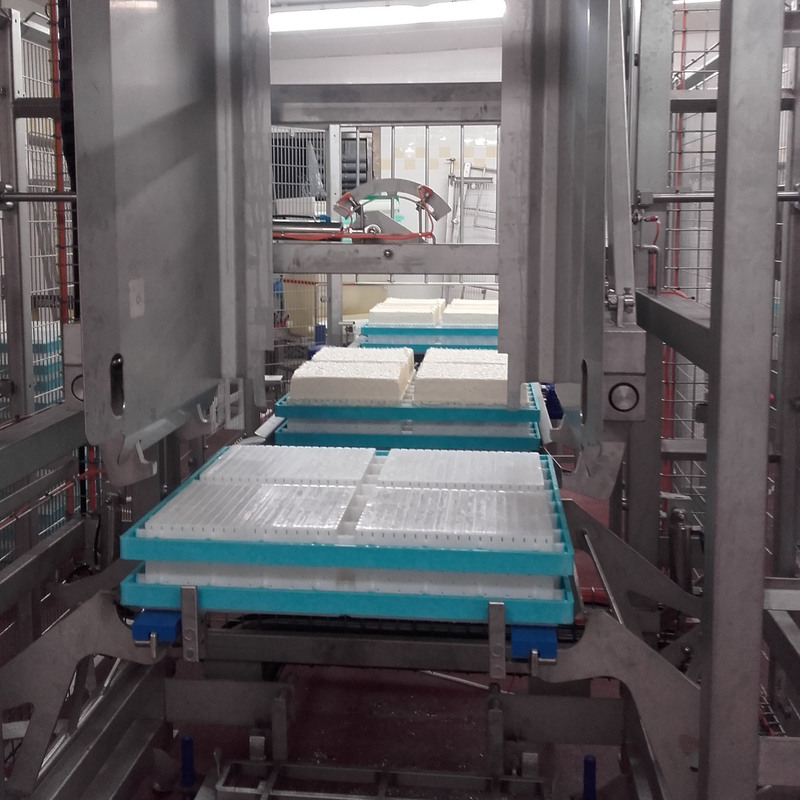 A robot using a gripper with suction cups connected to a vacuum pump and circuit picks up the cheeses in the block moulds and sets them down on one or more waiting racks. Removal from moulds on 2, 3, or 4 trays is possible, depending on flow rates. Mould removal tools match with the removed format by a system of bins which are easy to change and to wash. Empty vacuum circuit washing. This system is recommended for large formats such as Fourme d'Ambert, for example.